Our Boise customers rely heavily on the proper operation of their refrigerator’s built-in icemaker, especially when the Boise temperatures get hot in the summer months. We want to keep the icemaker working good at all times and avoid costly repairs. When our Boise residents leave town for a long period of time, you should never forget to shut off the icemaker by turning off the power switch or pushing the lever up to disable it. 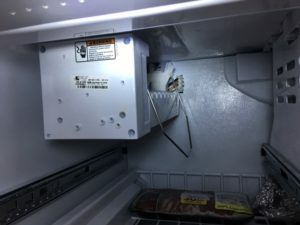 This will ensure that in the event of a malfunction, the refrigerator will not leak extensively and will limit any possible damage to the refrigerator or floor.